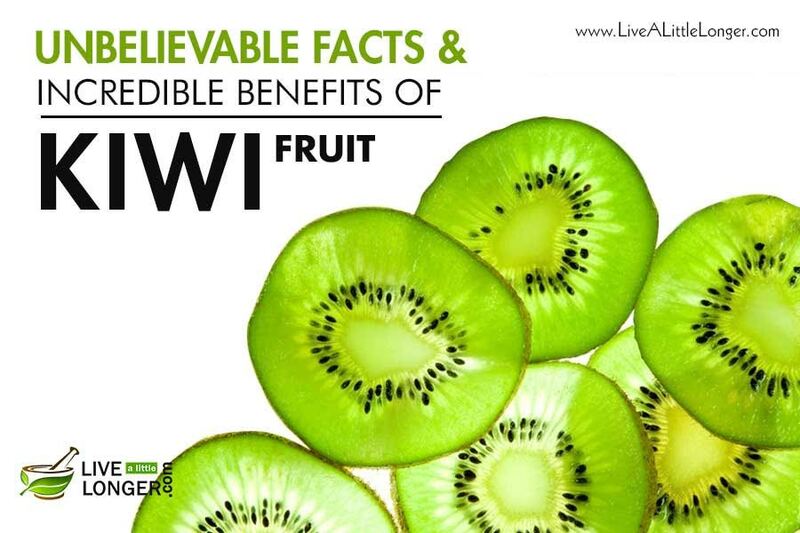 Kiwi fruit not has an amazing taste but also incorporates multiple health advantages. The health benefits of kiwi include preventing constipation, making the skin glow naturally, treating asthma, giving a better sleep, improving eye vision, and controlling the blood sugar levels. Kiwi fruit has a sweet & sour taste, and that is the reason why it is most preferred for topping ice-sugar cakes. This citrus fruit is round and is brown from the outside while green from the inside. It has many tiny black seeds with a soft texture and a unique taste. The origins of the fruit can be traced back to North-central and Eastern China. The early introduction of the fruit was when Europeans found the taste to be similar to that of a ripened gooseberry, and as it was found in China, they so named it as Chinese gooseberry. Eventually, the fruit was named as kiwifruit and later just kiwi. There are different types of kiwifruit like fuzzy kiwi, kiwi berries, and golden kiwifruit. Among them, golden kiwifruit is the commercially valued for it is sweeter and more aromatic flavor. It is less hairy than fuzzy kiwifruit; hence, it is preferred for consumption without peeling. It can be grown in temperate climates with adequate summer heat. The common uses of kiwifruit can be found as a garnishing on cakes. It is also used for fruit salad. The skin can also be consumed, but then many avoid eating the skin because of its rough texture. It is said that traditionally kiwi was not eaten as a fruit but as a medicine. It was fed to young children to help them grow and to new mothers to help them recover from exhaustion and weakness. Minerals: Some of the important minerals found in kiwifruit are boron, chloride, copper, chromium, fluoride, iodine, iron, Magnesium, Manganese, Phosphorus, Potassium, selenium, sodium and zinc. The human body requires all these minerals for the smooth functioning of the body. Calcium: Apart from other minerals, Kiwi is also rich in Calcium helps the bones and the teeth grow healthily. About 23.46 mg of calcium can be found in a fruit weighing 69.00 grams. Serotonin: Kiwi is also a fruit, which has high quantities serotonin. This is a hormone with digestive and cardiovascular functions. It is also said that consuming kiwi helps you get a sound sleep and alertness in the morning. All this is because of serotonin in this fruit. Vitamins: There are many complex vitamins that can be found in kiwi both water soluble and fat soluble. B complex vitamins and Vitamin C are water-soluble vitamins whereas the other vitamins are fat soluble. Kiwi contains almost all vitamins; Vitamin A, Vitamin B, Vitamin C, Vitamin D, Vitamin E and Vitamin K. However the most important vitamin found in kiwi is vitamin C. Studies suggest that amount of vitamin C found in one kiwi is equal to that found in an orange too. 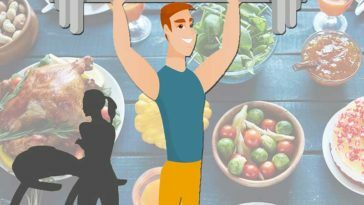 Fatty acids: Fatty acids perform various functions like helping the body with inflammation but above all, it also helps the body organs to function well. Some of the fatty acids found in kiwi are Omega 3 fatty acids, Omega 6 fatty Acids, Monounsaturated fats, polyunsaturated fatty acids and saturated fatty acids. 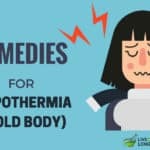 Although we might not understand the chemistry of these compounds, it is only important for us to known that these fatty acids can also function as an antioxidant. Amino acids: Also known as proteins and hence they are essential for the cells to maintain their structure. It also controls the body’s water and pH level. It also improves the communication of the brain with the body nerve cells. It also gives the body the energy it needs. The body cannot produce the essential amino acids all by itself; hence, it needs to be supplied in sufficient quantities. Here is the list of best health benefits of kiwi fruit. Save these points in your mind so that next time you see them at a store, you will certainly buy them. Kiwi filled with Vitamin C is always a good source of anti-oxidants. Being a water-soluble nutrient, it neutralizes free radicals that cause damage to the cells, which can also lead to cancer. Sufficient intake of antioxidants can prevent conditions like colon cancer, heart disease, osteoarthritis, stroke, etc. The flavonoids in kiwi protect the skin from the harmful effects of oxidation. Kiwis are a good source of dietary fiber, which reduces cholesterol levels that go a long way in preventing heart diseases and elevated blood sugar levels. One of the best health benefits of kiwi fruit is the ability to treat asthma. This is due to the presence of vitamin C in them. They have a protective cover against respiratory diseases. Studies have shown that kids who ate kiwi once or twice in a week, developed protective effects against respiratory diseases. Regular consumption of kiwi has demonstrated less wheezing. It cures breath shortness, nighttime coughing, and helps the lungs to function properly. Besides helping the patients suffering from asthma, kiwi also maintains healthy lungs. Kiwi is abundantly blessed with Vitamins A, E and C, which are well known in improving eyesight. Macular degeneration is a condition where there is either loss of eyesight or weakness in the vision, as a person ages. However, a few studies have claimed that regular consumption of kiwi slows macular degeneration significantly. Fruits, in general, help your vision but kiwi is highly effective. 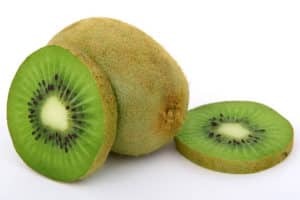 The lutein and Zeaxanthin found in kiwi is also naturally found in the eyes, and so consuming kiwi on a regular basis does help the eyes in the long run. Vitamin C is known all over for its skin-friendly properties. The collagen in the skin needs vitamin C to function properly. The antioxidants in kiwi also help the skin to remain pollution-free and further, prevents damage caused by the sun. It also keeps the skin young and wrinkle-free. It even improves the skin’s texture and its overall health. Serotonin, a compound found in kiwi is not just good for sleep disorders but also gives a person fresh mornings. A sound sleep ensures a healthy morning as well. Studies have found that kiwi consumption improves sleep onset, duration, and efficiency in sleep patterns of those who complain of irregular sleep. The dietary fibers present in kiwi help maintain regular bowel movements. Eating a kiwi fruit regularly improves the stool production. This comes as a blessing for those who have trouble every morning before leaving the home in a hurry. The fruit is also supposed to have a mild laxative effect, especially among elderly individuals. The Actinidain in kiwi is a protein-dissolving enzyme and helps during digestion. Also, the fuzzy skin of kiwi helps flush out toxins from the body, especially the intestinal tract. This way, kiwi helps a great deal to avoid or treat constipation while keeping the digestive track clean. The key to lower blood pressure is to control the sodium content in the blood and for this, you need enough potassium so that one mineral can balance out the other. However, high potassium intake can also mean that your blood pressure might increase. Therefore, you need to be careful if you have a high blood pressure problem. In such cases, it is better not to consume kiwifruit but for those who have a low blood pressure, enjoy the delicious sweet taste of kiwi. For a pregnant woman, kiwi is essentially important. Folic acid is a commonly prescribed nutrient for pregnant women and even for those who are trying to get pregnant. Kiwi is filled with folic acid. Folic acid is important for the development of the vital organs of the fetus growing inside a mother’s womb. It also prevents birth defects. This is the reason why it is highly recommended for women who are trying to conceive. Being rich in Vitamin C and antioxidants, kiwi provides protection for the cells from free radicals, particularly the DNA. Some studies also have shown that kiwifruit also provides a stronger immune system to those who regularly consume kiwifruit. The health benefits of kiwi fruit also contribute for blood. It acts as a natural blood thinner. 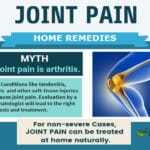 It also facilitates absorption of iron, and this prevents conditions like anemia. Iron is an important mineral, which is required by the body to produce red blood cells. 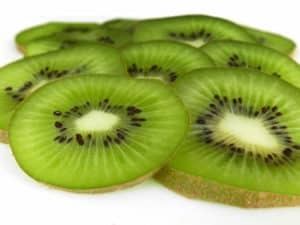 Regular consumption of kiwi reduces fats in the blood and averts the chances of blood clotting; thus, preventing blockages in arteries or other pipes connecting the heart. In fact, blood clotting can be reduced by 18%. While some people are forced to take medicines for blood clotting, kiwifruit is a natural way to avoid this condition. The added benefit is that there is no side effect or damage to the liver. In a study conducted, it was concluded that those who regularly consume kiwi have a 49% less chance of developing heart disease than those who do not consume kiwi. Kiwi is a great fruit for those who want to lose weight because it has a low glycemic index. It does not create a strong insulin urge like other fruits; hence, the body does not feel the need to store more fat. Also, the high dietary fiber content in kiwi is a natural way to lose weight. The fruit is high in nutrients and low in calories. Kiwi helps in balancing the acid and alkaline levels in the body. The rich quantity of minerals in kiwi replaces excess of acid that comes from the acidic food we eat. The benefits of maintaining the acid and alkaline benefits are such that it helps keep the skin young, promote sound sleep, prevent arthritis or joint pain, reduce osteoporosis, etc. It is warned that people who suffer from hypertension, kidney or gallbladder problems should not eat kiwi, as the oxalates in the fruit when concentrated can become crystallized and can worsen the health condition. Those who have latex allergy should also avoid consuming kiwis. To get the most out of kiwi, it is important to know how to store for a longer period. Kiwi fruits can also be stored at room temperature to ripen fast. Once ripen, eat the fruit soon as it does not stay long enough. Also, you can fasten the process of ripening by covering it up in a paper bag with some other fruits like banana, apple or a pear. Once it has ripened, do not keep it along with other fruits as the gas released from other fruits can over ripen the kiwi and you may not like it. Thanks for the usefull info. .